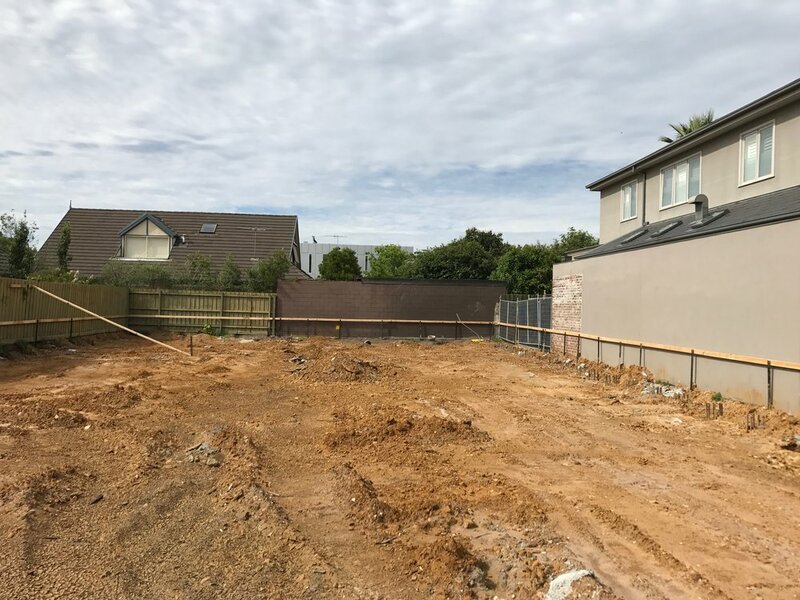 To kick off the build I like place 90x45mm pine around the whole perimeter of the property at a level around 500mm from the top of the finished concrete slab / floor height. This is to setout the home. I also get a Building Surveyor to place the exact corners of the property onto the timber to make sure we start with the correct placement and measurements. You'll be surprised how many fences and parts of peoples homes are not on the correct property.